Bloody Bathroom Mirror Cling Makes a scary Halloween bathroom decoration. 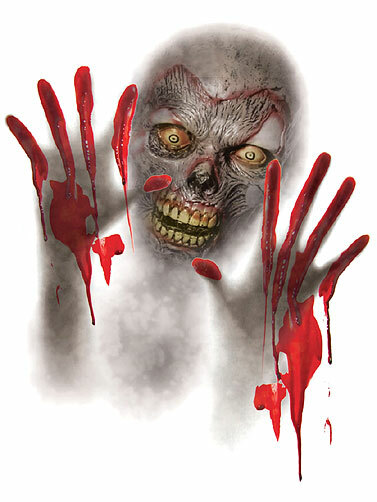 Image shows a ghoulish image in a foggy haze. Not just for mirrors, adheres to most smooth surfaces without the use of adhesives. 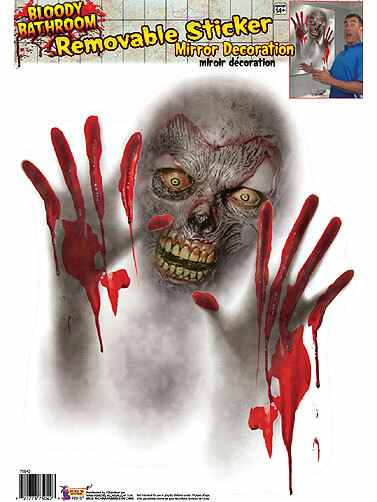 Bloody Bathroom Mirror Cling measures 17"H x 12"W.